Your iPhone has been your inseparable companion, and now, through a freak of nature, you have forgotten your passcode. This could be a very disheartening situation, especially if your documents, music, or movies are not backed up anywhere which means you could lose everything. iMyFone iOS Recovery is a software that is designed to fix issues pertaining to iOS devices. For a better understanding of the key functions of this software, look at some of the iOS issues it can quickly solve. It offers three modes to fix iOS issues as more as possible. It can remove iPhone screen lock easily even without knowing the passcode. Can fix common iOS issues. It can fix iPhone getting stuck on the Apple logo, or repair iPhone stuck on Recovery mode. It is compatible with all iOS Devices, even iPhone X/iPhone 8 running iOS 11. You can use iMyFone iOS Recovery software to restore iPhone without using a passcode. Just follow the steps below to get it done quickly. Step 1. Run the program and you will see that the program offers three fixing modes. Choose advanced mode. Step 2. Set your iOS device into DFU Mode (just press and hold the Sleep/Wake button and the Home Button for 8-10 seconds, then release the Sleep/Wake button but continue to hold the Home button for about 5 seconds). If the program doesn't proceed to next step, you can also set your iPhone into Recovery Mode to continue (press and Hold the Sleep/Wake and Home buttons until you see the "Connect to iTunes" icon on your iPhone screen). Step 3. 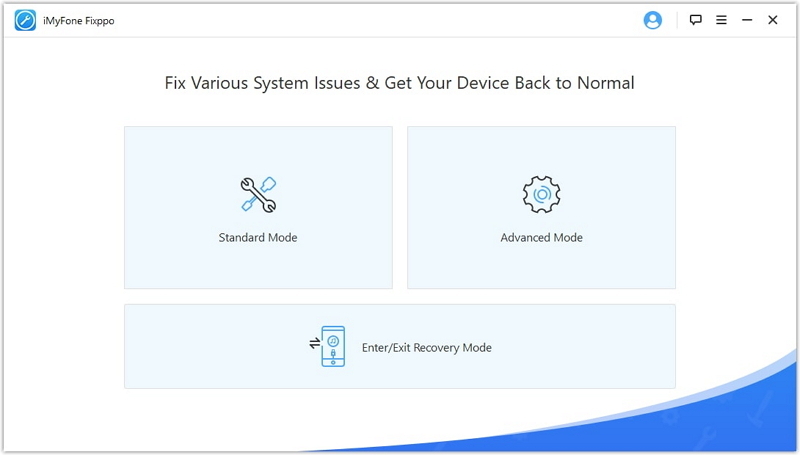 Download the firmware package for latest iOS version that iMyFone iOS Recovery program has allocated to your iPhone. 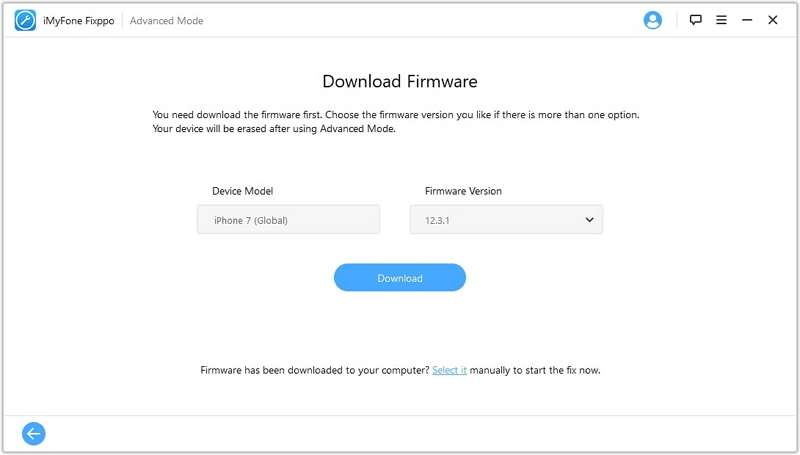 After downloading, follow the program's prompt to verify the firmware package. Step 4. 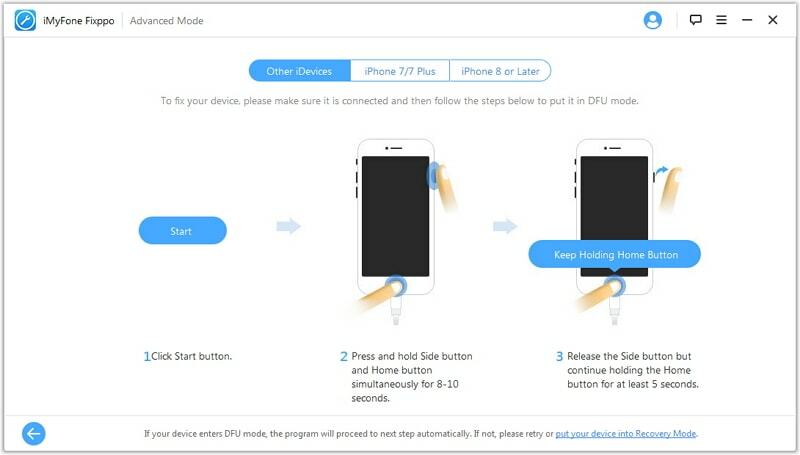 Then finish the final step by replace the firmware package on your iPhone. Then you can start your iPhone again. Another method you can use to recover your device is to erase it with iTunes. 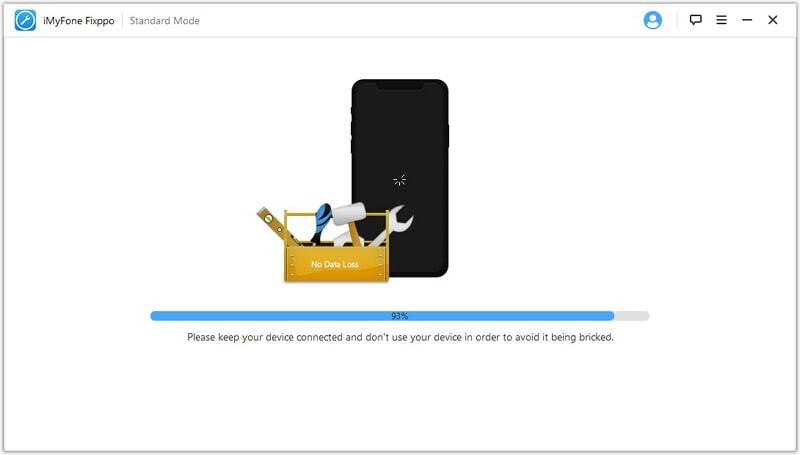 This action will help you to remove the passcode on your device, but the only way this option will work is if you have synced your iPhone to iTunes. First, connect your iPhone to the computer you previously synced your iPhone with. Go to iTunes and open. If passcode is required, you may have to try your hand on another computer or make use of the recovery modes if available. Allow time for iTunes to synchronize your iPhone and then make a backup. As soon as you synced and backup your device, click 'Restore'. Once in iTunes, select your device, and then take a look at the size and the date of each of your backups. Select the important ones you need. After your iPhone is connected to the PC, open up iTunes. ii. If using iPhone 7 and iPhone 7 Plus: Press down both the Volume Down and Side buttons simultaneously. Do not release until the recovery mode screen appears. iii. If using iPhone 6s: Press and hold both the Home and the Side (or Top) buttons simultaneously until the recovery-mode shows up. Two options will show up: 'Restore' and 'Update'. Choose 'Restore'. At this, iTunes will download the appropriate software for your device. However, if it exceeds 15 minutes, your iPhone may exit the recovery mode, and you may need to repeat the previous steps. Wait until the process finishes, and then set up your iPhone. So far, we have shown you various ways to restore iPhone without a passcode. But, using iMyFone iOS Recovery software can help you to restore your iPhone without going through any complicated steps and it will fix more issues on your iPhone, iPad and iPod touch. Choose the method which suits your situation best and tell us whether it works.